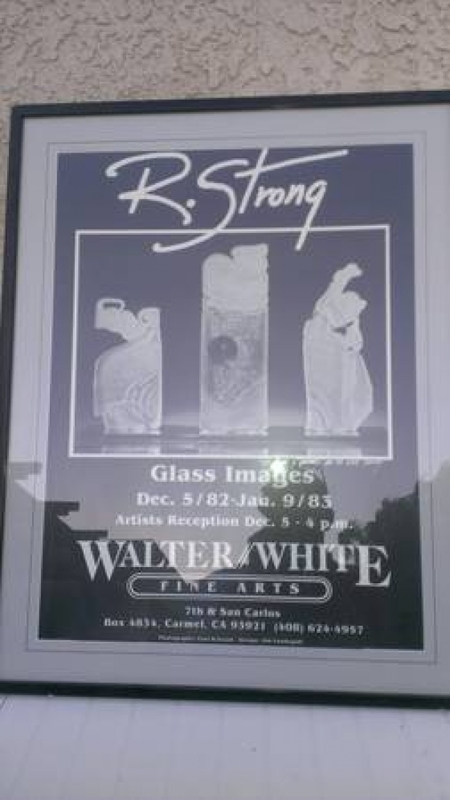 This is a signed exhibition poster by listed artist Randy Strong. 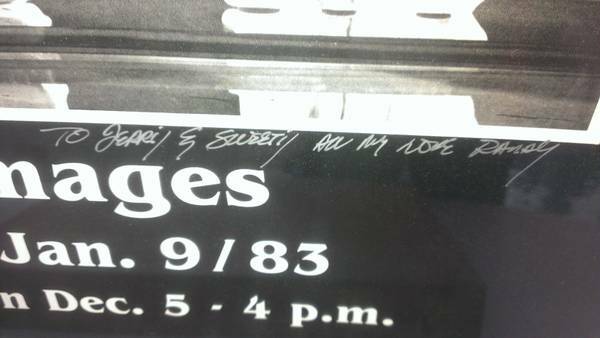 It was a show titled Glass Images. 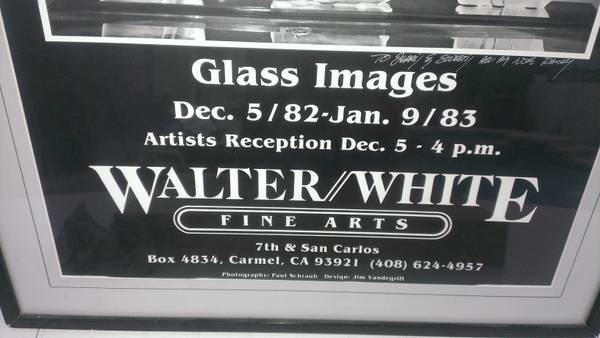 It took place from 12/5/82-1/9/83 at the Walter White Fine Arts Gallery in Carmel, CA. This lovingly framed image measures 22\\\" x 28\\\" approximately. 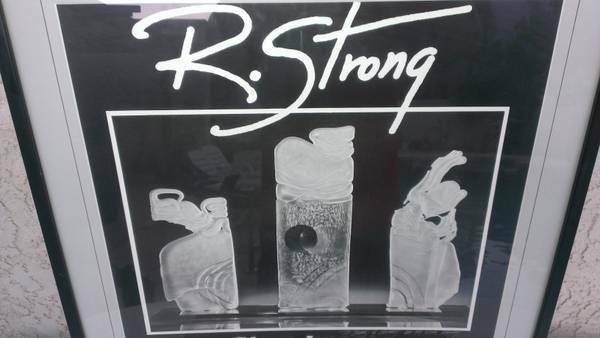 The image shown is from his cast glass sculpture period from 1978-1989. If you are looking for art you have come to the right place. I have over 400 listings with all assorted art and other items available. If you type damien hollywood hills into the craigslist los angeles for sale/wanted search box my more than 400 listings will appear. All prices negotiable. Most of these items are available to deliver between Los angeles and Palm Springs as I make regular visits back and forth. Make an offer and help support my science classroom and various projects including LEGO Robotics, Science Olympiad, school garden and VEX Robotics classes. Have a great day!